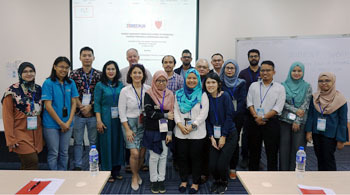 In conjunction with the 55th Annual Scientific Conference of the Malaysian Society of Parasitology and Tropical Biomedicine (MSPTM), the Tropical Infectious Diseases Research and Education Centre (TIDREC), University of Malaya and MSPTM have co-organized a pre-conference workshop on rodent “From Field Works to Databases: Sharing Protocols, Knowledge and Data”. 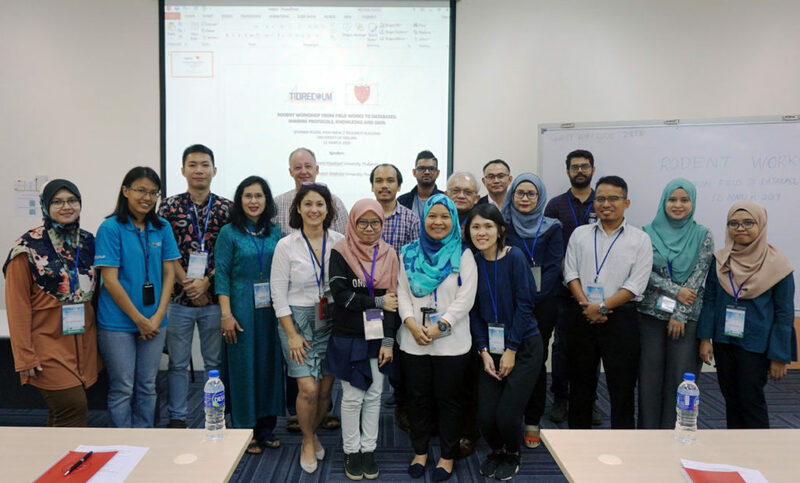 This workshop was successfully held on 12th March 2019 at University of Malaya. 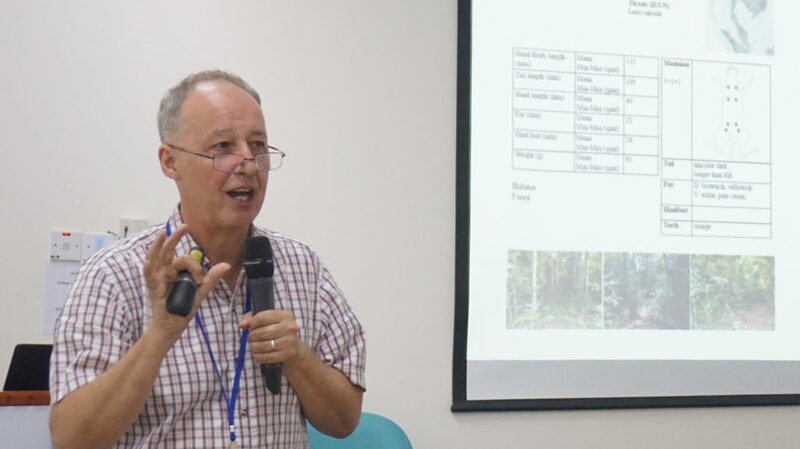 We were pleased to have Dr. Serge Morand from Kasetsart University, Thailand, and Dr. Kittipong Chaisiri from Mahidol University as the speakers for this workshop. 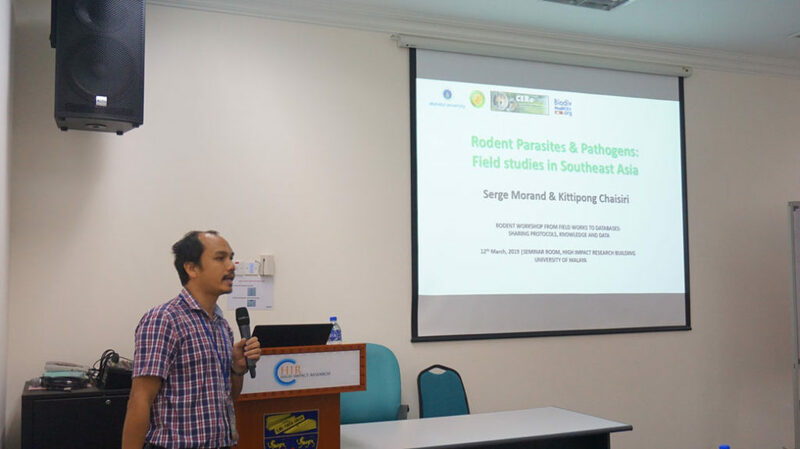 To address the issues of infancy in sharing experiences and data on zoonotic diseases, this workshop aimed to share experiences and protocols for collecting data and samples when conducting field researches, using rodent-borne diseases as a model. The second aim of this workshop was to emphasize the importance of data management in order to favour open and link data through existing and collaborative data sharing platforms. Special attentions were also given on ethical questions from field work to data sharing, and some tools that help at displaying data using the R freeware environment (leaflet and mapview). 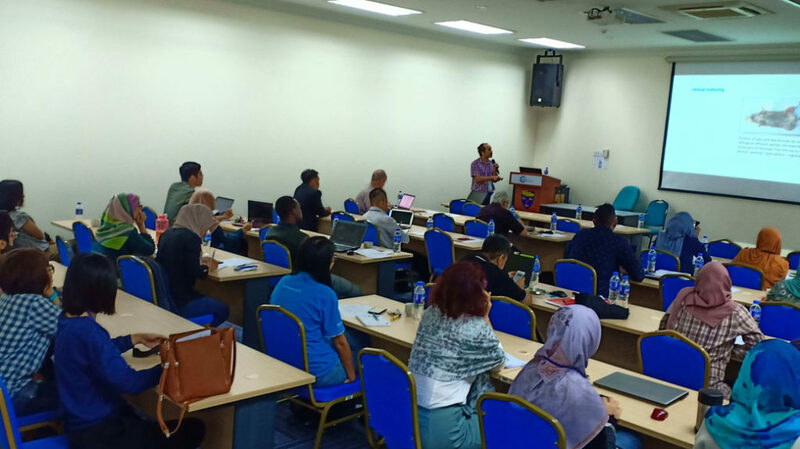 A total of 19 participants from various universities and government agencies, including one international delegate from Indonesia were participated in this workshop.